The Camera app's interface has always been focused on black, but when you switched to settings, you were always hit by a jarring white screen. 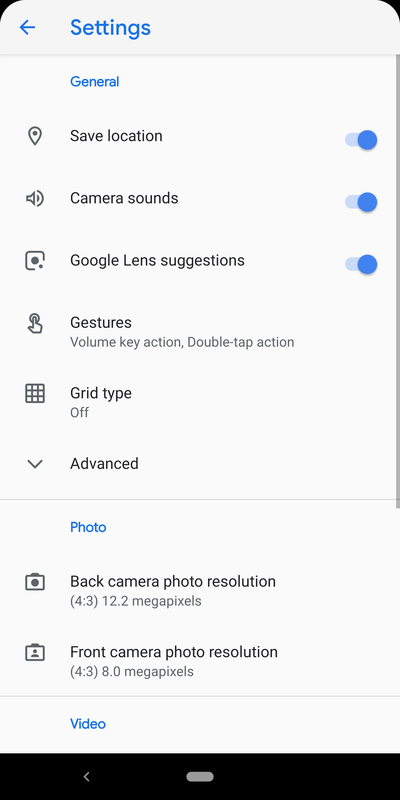 Now, the settings' look follow your device's. 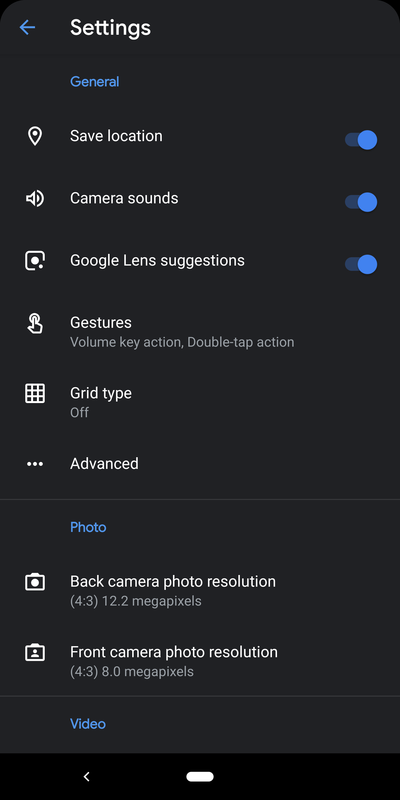 My Pixel 2 XL is on Android Q with the light theme enabled; when I turn on Battery Saving, everything goes dark, including the Camera app's settings. 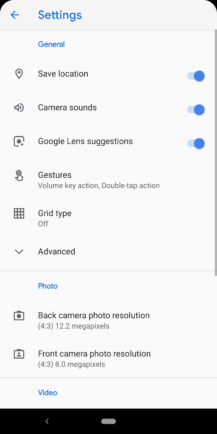 It also works on Android P, though the behavior may be less consistent. Left: Camera 6.1's light theme. 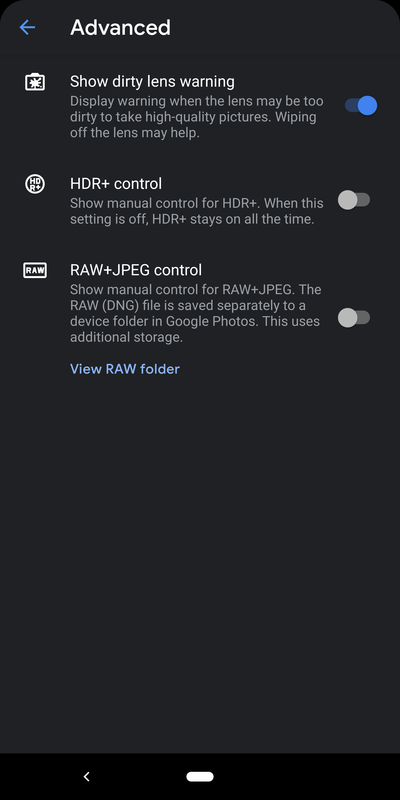 Middle & Right: Camera 6.2's new dark mode. 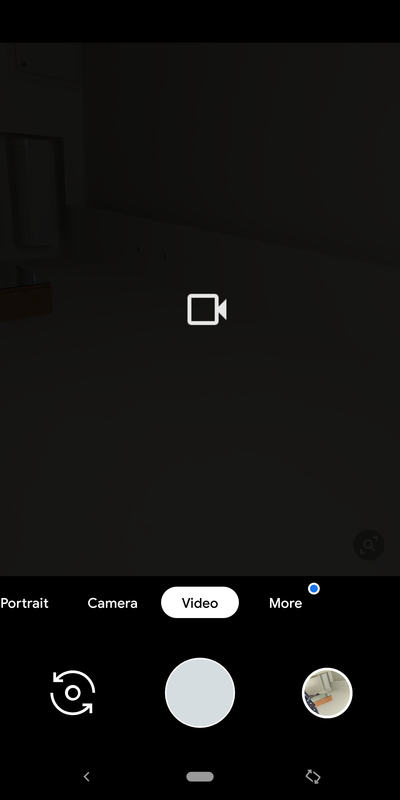 Switching between camera, video, portrait, and panorama in version 6.1 of the Camera app showed a black transition screen with the mode's icon in the middle. With v6.2, the screen doesn't flash black anymore, but instead there's a cool transition and zoom in/out effect that take place. If you're swiping between modes, the result is smoother than before, and feels faster. 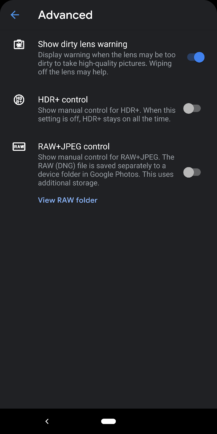 Left: Camera 6.1's black transition screen. Right: Camera 6.2's animated zoom transition effect. This one is quite superfluous. 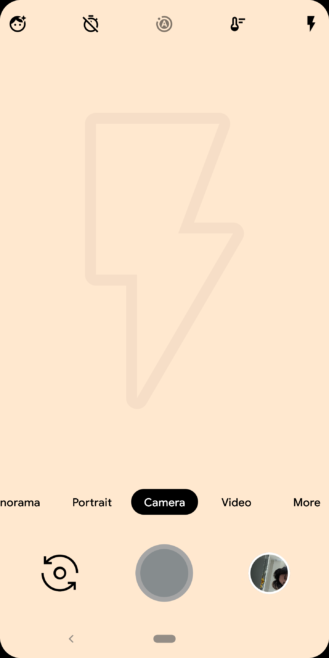 In v6.2, when the flash is activated for the front-facing camera, you'll see an actual flash icon on the display. Perhaps people were wondering why their screen was switching to that sepia tone and this addition helps explain it's acting as a flash. Left: Camera 6.1. Right: Camera 6.2'. 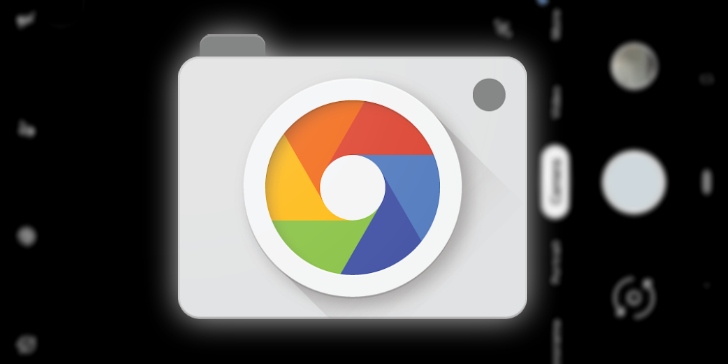 Google Camera 6.2 is already rolling out on the Play Store, but if it's not available to you yet, you can grab it from APK Mirror. Weekend poll: Have you switched away from Inbox yet?